A bedroom DJ gets a chance to be famous. Catherine and Tom discuss the language from this story. A British DJ, who usually plays to an audience of one, gets his own show on the BBC. Last night's programme had the _____ radio audience in the country! 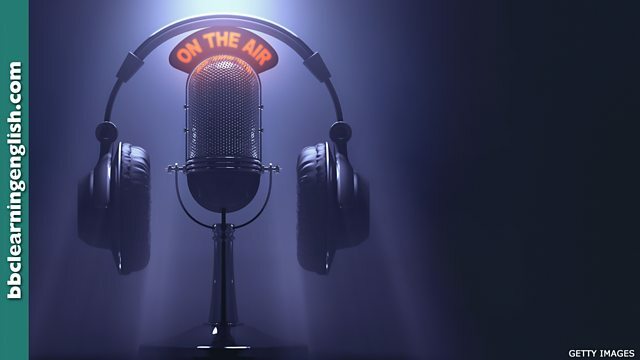 A British Radio DJ who has held the unofficial distinction of broadcasting to the smallest audience in the country, has hit the big time after 44 years. Deke Duncan, who’s 73, began broadcasting from his garden shed in 1974, but only to his wife through a speaker in his living room, as he didn’t have a licence. Deke Duncan has now been offered a one-hour special on BBC local radio over the Christmas period. • My band has a regular slot at the club. We play at seven o'clock every Tuesday. • We have secured a prime slot for the new show. Six o'clock on Saturday evening! • Keep sending your job applications, Persistent people always get a break! • International superstar Leona Lewis got her big break on a TV talent show. • We gave the intern a pop at presenting when the regular host was sick. • I couldn't fix my bicycle so I asked my dad to have a pop at it. Which English phrase means 'say something unpleasant in order to make someone upset or angry'? The meaning of 'slot' is often connected to space. Which of these is NOT a meaning of 'slot'? Why would you ask someone to 'give you a break'?